Attractive Design: Highly popular attractive table light. The leather type material is soft and adds luxury to the light. 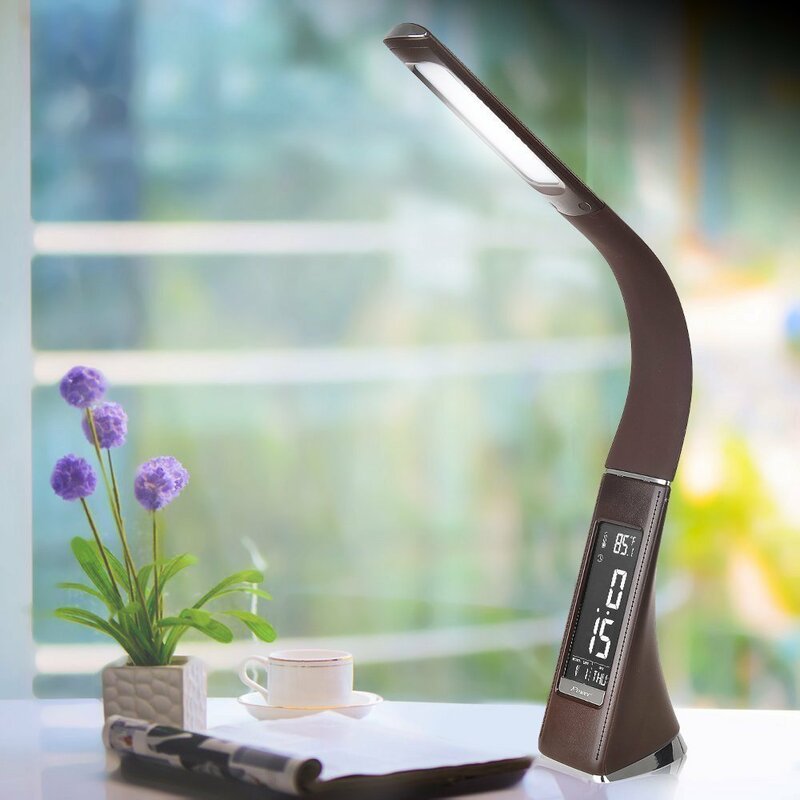 A Good, Bright LED Desk Lamp : It has three levels of brightness (work, reading, relaxation). Keeps your eyes and mind relaxed while reading a book or when you’re using your computer/laptop. No headache and eye strain. 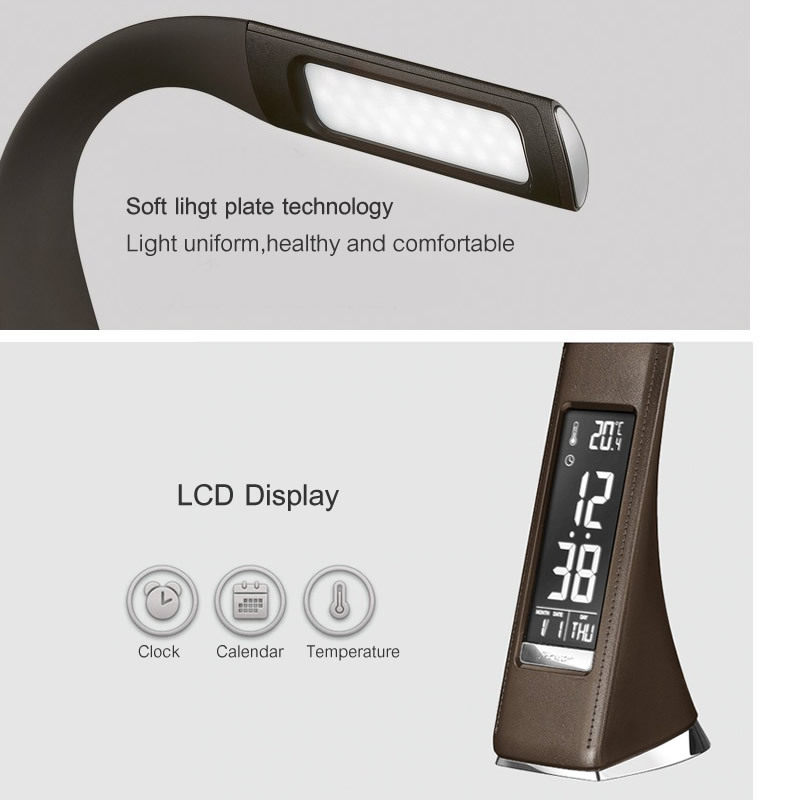 A Combination of Table Lamp with LCD Display: It shows temperature, time and date, and an alarm clock. When lighting is not required, switch it off by touching the on/off button and only the LCD display will be seen with time, date, day and temperature. 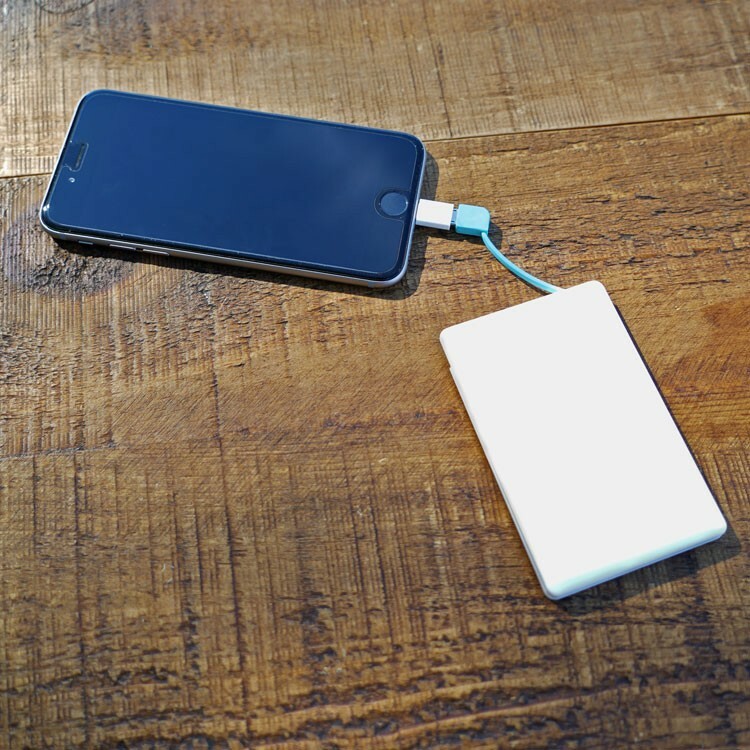 The lamp has a lithium metal battery so the time, date, and calendar settings are saved if the power is lost. Flexible Neck. 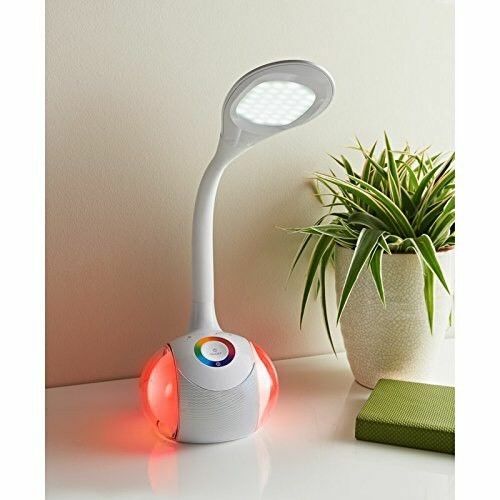 Easy Positioning of the LED Light for Any Use : The neck is flexible and moves so you can adjust it away from your face if the bulb is too bright. You can twist the flexible head to the left and right and the head stays that way. 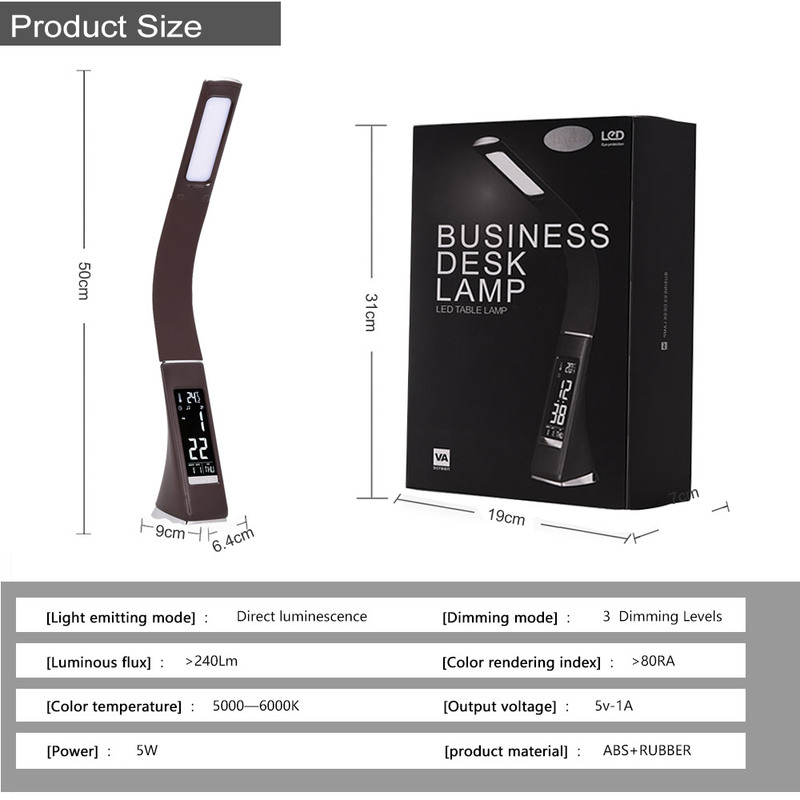 Such a great product, LED lamp with LCD display time, date, and temperature and Alarm! Setting the time and date is simple. All buttons for the settings are located on the bottom. The day of the week automatically adjusts to the month, date, and year. 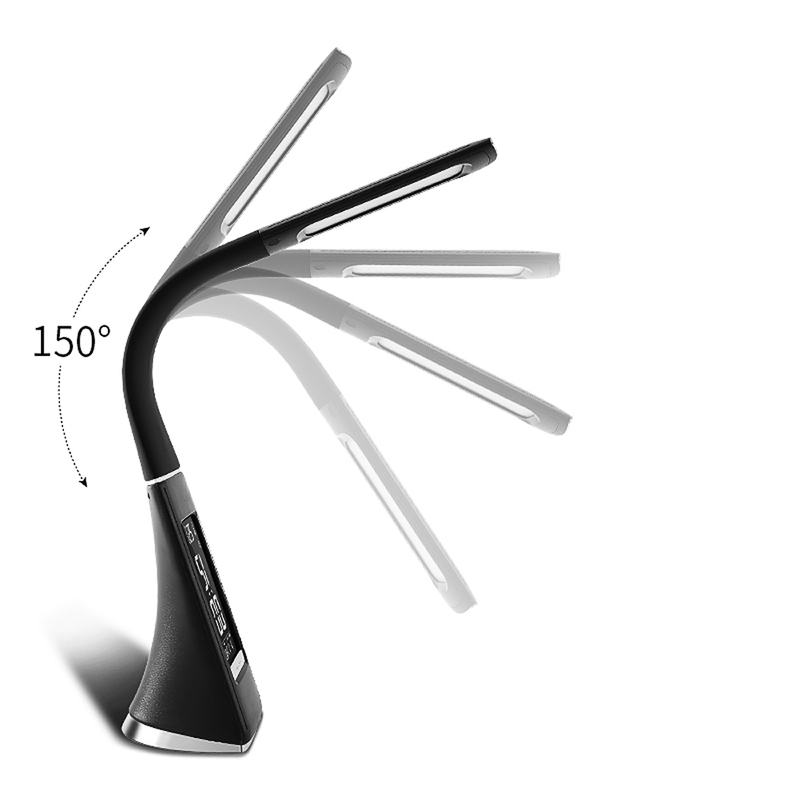 The lamp is very sleek and modern and looks great in your home office space. The outer part of the lamp has a look of dark brown leather. The light is white, not a typical yellow/warm light bulb. The clock on the front of it looks very modern and shows temperature, time and date. 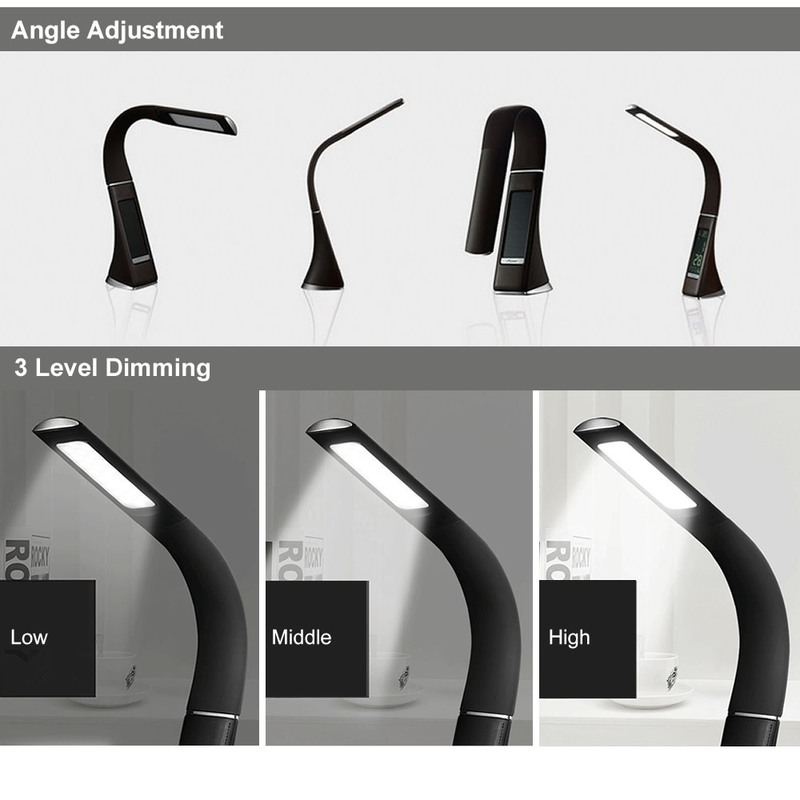 The three level light and flexible arm makes this a wonderful product by allowing you to adjust lighting and position to suit your needs. It is easy to adjust with touch sensitive controls that’s very responsive & works perfectly. 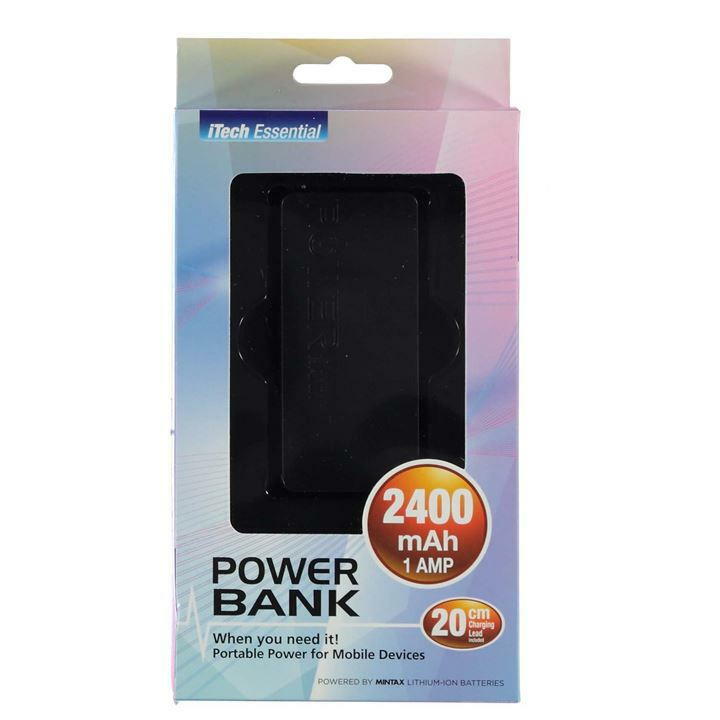 Providing ample of light for reading or working at night, it hardly takes up any space because of the slim base. it occupies very little desk space.